The Koleos is a car with stylish looks and a decent, if not fully premium, driving experience. While it doesn’t quite live up to its lofty ambitions, it offers a distinctive and reasonably-priced alternative to the competition. 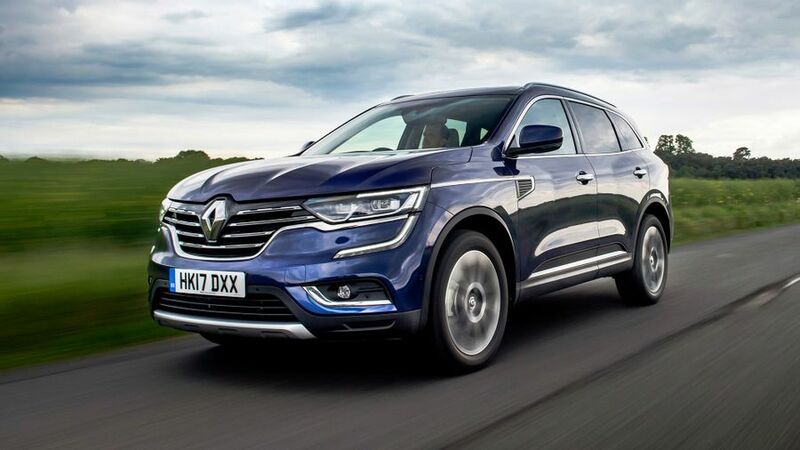 Interested in buying a Renault Koleos? 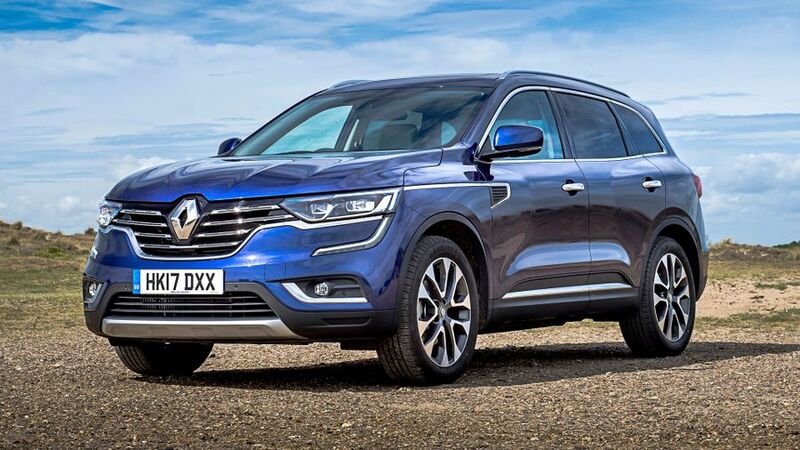 Renault has gone for a much more premium look for this generation of Koleos. It’s lavished the front end with chrome and signature C-shaped LED running lights, framing a large Renault badge beneath a sculpted bonnet. The French manufacturer believes design forms a key appeal for SUV customers, and it certainly stands out. In keeping with its premium aspirations, just two, well-specified models will be sold in the UK, at least initially. The Dynamique S rides on 18-inch alloy wheels, roof bars and a panoramic electric sunroof, while the Signature model upgrades to 19-inch wheels and full LED headlights. We tested a third model, the even-more-swanky Initiale Paris, which is due for UK release in 2018. Hop inside the Koleos and the premium theme continues, with a stylish and sharp interior that looks great, although closer inspection reveals not all the plastics and materials are quite as high-end as they look. Still, none of them are offensively brittle, and the overall effect makes for a very pleasant environment. A distinctive, portrait-orientated touch-screen infotainment system operates very much like a tablet computer and is a big improvement on previous Renault systems, although the touch-only operation makes us want easier-to-use buttons and dials. Apple Car Play and Android Auto are included for smartphone connectivity. The seat and steering wheel adjust every which way to find your perfect driving position, and visibility is good. 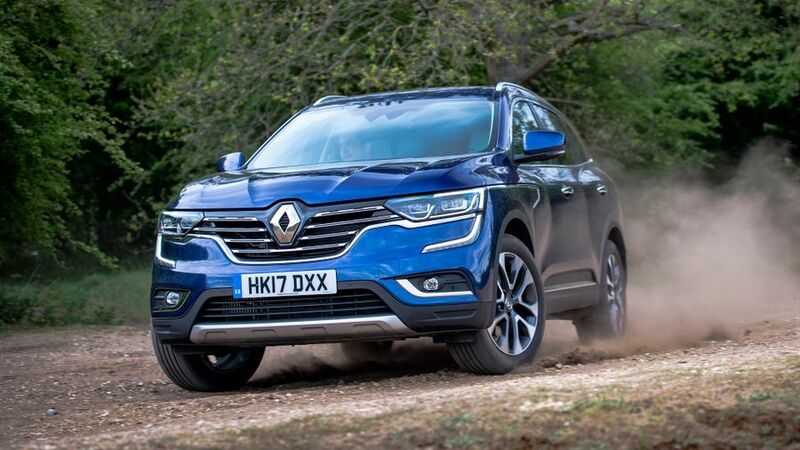 Unlike Nissan, which produces a seven-seat version of the X-Trail (which is effectively the same car as the Koleos), Renault has opted not to build a three-row version of the Koleos. We can’t help feeling this is a missed opportunity, as most customers with a typical family will probably head straight to the slightly smaller, but significantly cheaper, five-seat Kadjar. The upside to this approach is that, if you have five passengers in the Koleos, they all get loads of head-, leg- and elbow-room, as well as a boot that, at 579 litres with the rear seats up, can hold more stuff than you can shake a stick at. 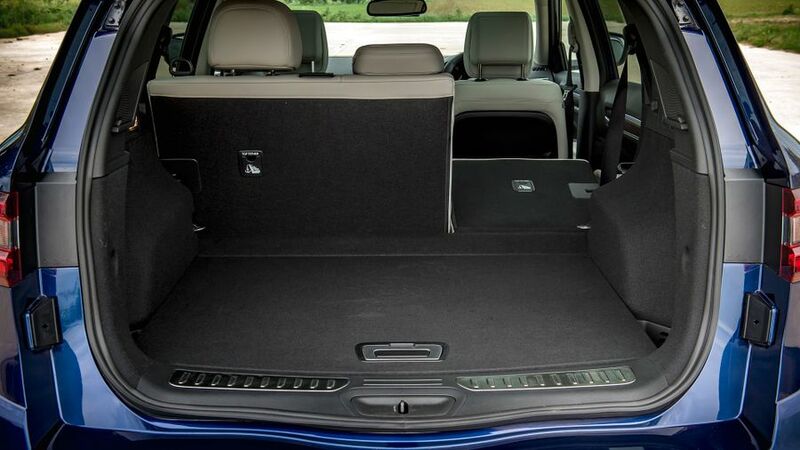 Fold the rear seats down and that capacity increases to 1,975 litres, although a small step between the seats and the boot floor means it’s not quite completely flat. Up front, there’s the usual selection of cupholders, plus wide door pockets that will easily swallow a litre bottle of water, a deep under-armrest storage area and a refreshingly large glovebox. Perhaps then worst aspect of the Koleos is its unsettled ride. Even on what appear to be perfectly smooth surfaces, it jitters incessantly, and you can always hear the rear suspension, in particular, knocking, as it struggles to keep the effect of lumps and bumps away from the cabin. The car does have decent body control through bends, but the steering doesn’t come close to producing the same amounts of feel and precision (or the same type of confidence in the driver) that you get in a German counterpart, such as the Volkswagen Tiguan. Both front- and four-wheel drive of versions of the Koleos are available; and, although we don’t expect many customers to venture too far off-piste, the latter will cope with surprisingly rugged off-road terrain and should have no problem getting you to your favourite skiing destination. Sorry, petrol fans, there are only diesel engines available in the Koleos. The first is a 1.6-litre unit with 128bhp, which performs well enough with just a couple of people on board, but we suspect it may struggle with a full load. For that reason, we prefer the larger 2.0-litre diesel with 175PS, as it produces far more pulling power and is consequently better able to cope with the Koleos’ substantial weight. The engine itself emits a hollow sound at low revs and you’ll also notice some accompanying vibration through the floor, but other than that, it’s very smooth and extremely quiet throughout the rev range. Both engines are available with a manual or automatic gearbox. The manual is a solid choice, but we’re not too keen on the automatic. 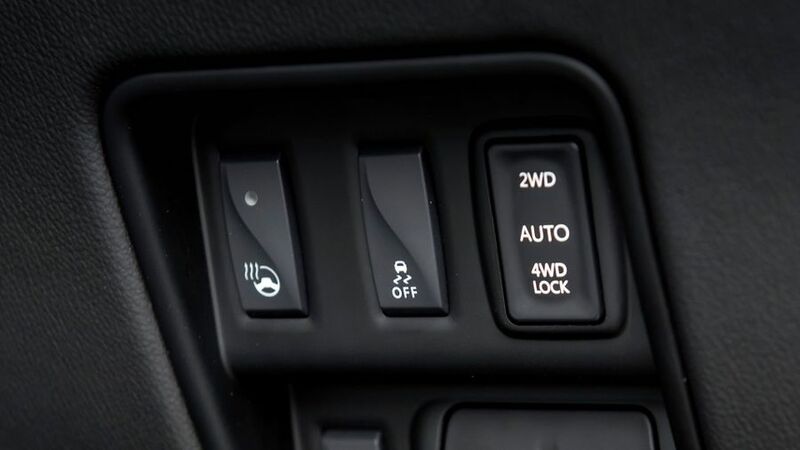 It’s a CVT gearbox (which continually varies the gear ratio, but has no actual gears), and this kind of transmission is inclined to let the engine work at its maximum revs when the driver asks for quick acceleration; and, only when the car builds up sufficient road speed does it let the revs relax. Renault has come up with a clever solution to partially prevent this by engineering in false 'gearchange' points, which cause the engine revs to rise and fall more like a traditional automatic. In practice, it works well, but the initial take-up as you pull away still feels quite laboured. The Koleos is priced in the middle of its key rivals, costing around the same as a Kia Sorento and considerably less than a Volvo XC60, but quite a bit more than Skoda’s excellent Kodiaq. 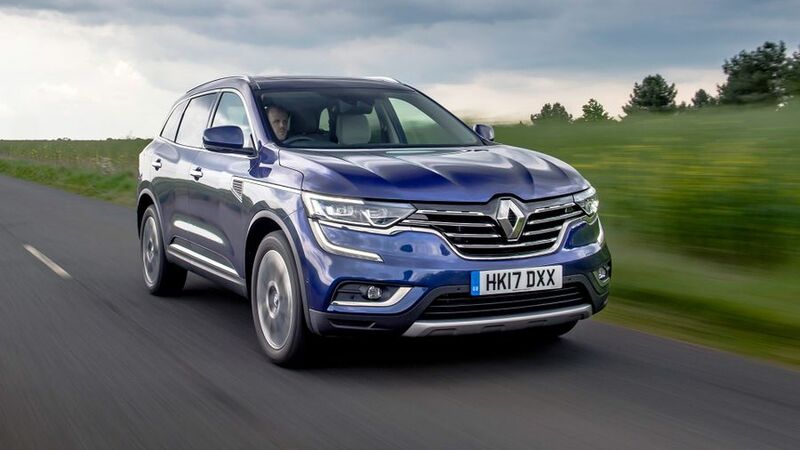 It’s the Skoda that is the thorn in Renault’s side; the Koleos doesn’t shame itself against most rivals when it comes to residual value and fuel economy, but the Kodiaq is so strong in all areas that it’s hard to make a financial case against it. Servicing costs are likely to be on the high side for the Renault, too. As a brand new car, we don’t have any data for this generation of Koleos. However, the previous model had a reasonable, if not particularly stellar rating on Warranty Direct’s Reliability Index, and Renault as a brand has a good reputation of late, featuring in the top ten rankings of manufacturers overall. Consequently, while we have high hopes the Koleos will be relatively trouble-free, it’s too early to be sure. The Koeos scored the maximum five stars in crash tests by safety organisation Euro NCAP. It’s well equipped with safety features; six airbags are standard on all models, as are two Isofix child seat fitting points in the back. Automatic Emergency Braking is also included on all cars, as are Blind Spot Warning and Lane Departure Warning systems. 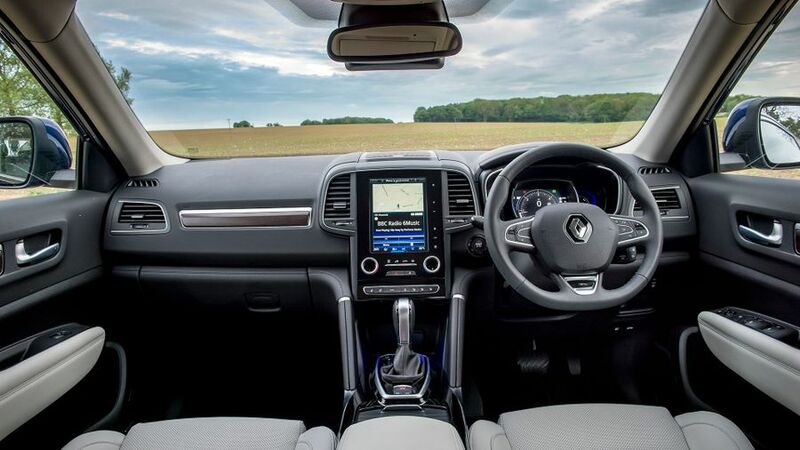 In aiming to offer a more premium experience than the last generation of Koleos, Renault is only offering high specification models. The Dynamique S includes a panoramic electric sunroof, front and rear parking sensors, keyless entry and start and dual zone climate control; so much kit in fact, we reckon it’s the one to go for. If you’re feeling flush however, the Signature model adds leather upholstery, a powered tailgate you can open by waving a foot under the rear bumper, heated seats, and a larger 8.7-inch screen for the infotainment system. 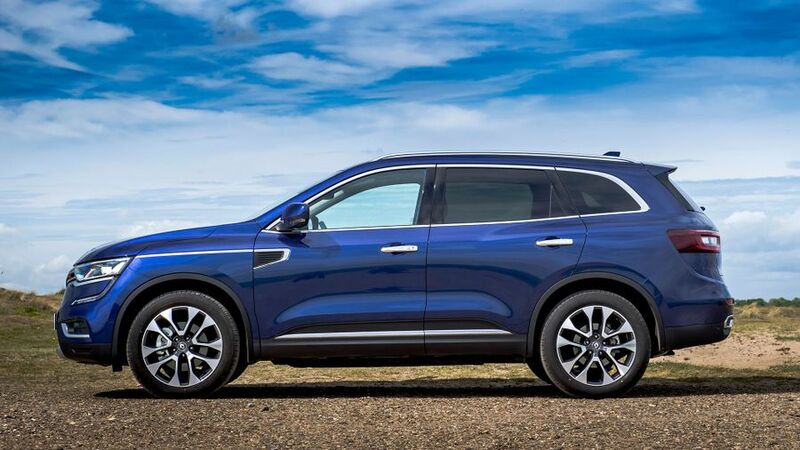 While not quite reaching the heights of the BMW X3 and Volvo XC60 when it comes to a premium experience, the Koleos offers a step up in quality from many other rivals. We like it, but the trouble is that we like the Skoda Kodiaq even more, and it makes better financial sense, too. 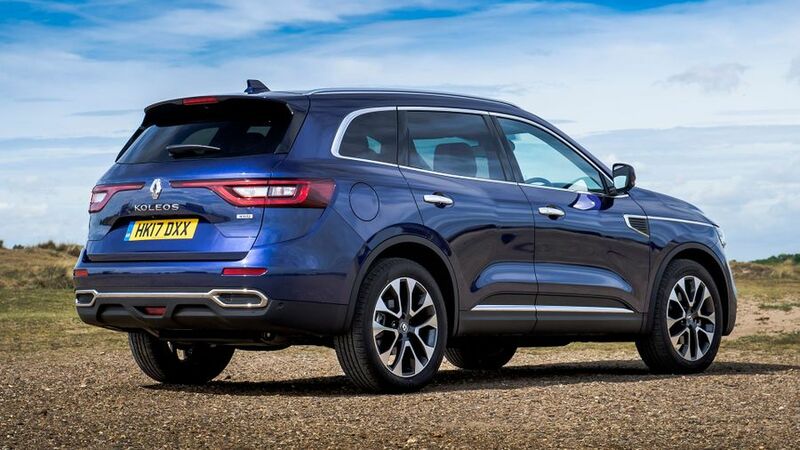 If, however, the Kodiaq doesn’t float your boat, the Koleos could be very appealing.